Lake Bemidji State Park campground has 96 single-family campsites set in a wooded area next to Lake Bemidji. There are 5 pull-through sites, 43 sites with electrical hookups (30-amp), a group camping area and 4 cabins for rent. The campground has drinking water, flush & vault toilets, hot showers and a dump station. Flush toilets, showers and the dump station are seasonal (closed in winter). Free WiFi is also available at the campground and Visitor Center. Each campsite has a table, fire ring and grill. Our favorite Lake Bemidji campsites are: 7, 13, 15, 18, 21, 22, 25, 40, 56, 60, 62, 64, 70, 75 and 78. Lake Bemidji State Park has year round outdoor recreational activities including swimming, boating, fishing, camping, hiking, biking, wildlife viewing, picnicking, snowmobiling and cross-country skiing. Itasca State Park is another option and is located about 50 miles south via highway 71. 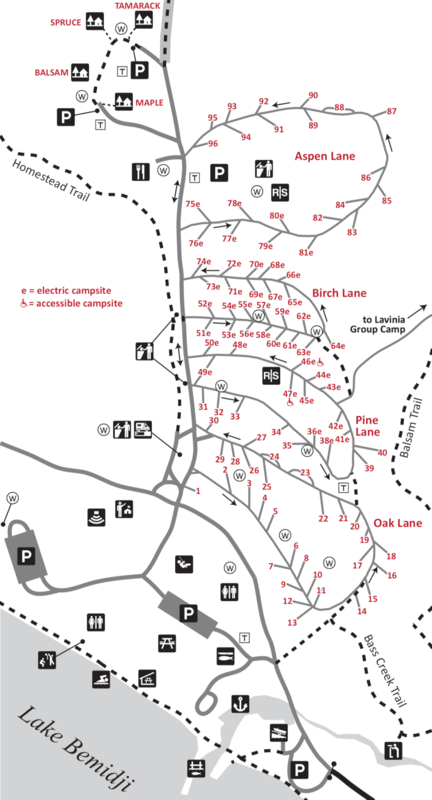 It has 223 campsites. 7, 13, 15, 18, 21, 22, 25, 40, 56, 60, 62, 64, 70, 75, 78. 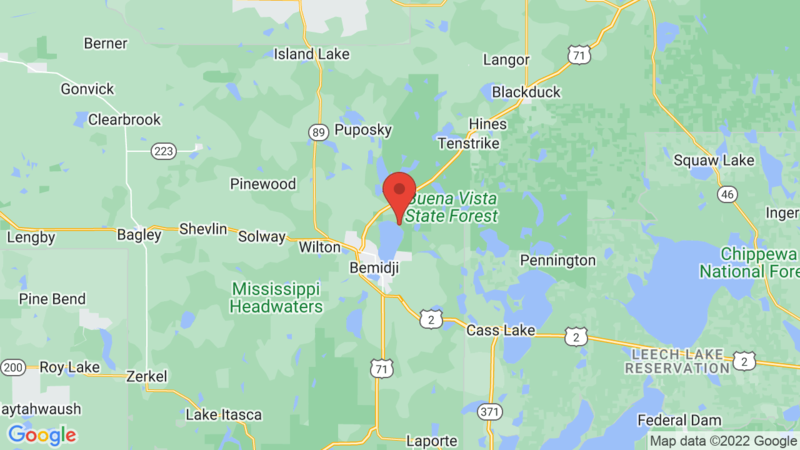 Visted Lake Bemidji State Park Campground lately? We'd love to hear about your adventure. Did you find us useful? Did we forget something? Anything our community should know before heading out to Lake Bemidji State Park?